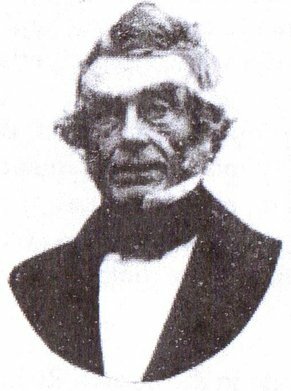 King’s College statistical geneticist Michael E Weale has just published a new article on Patrick Matthew, the discoverer of evolution by natural selection, in the Journal of the Linnaean Society. You may recall that this was the journal in which Darwin and Wallace’s theory was first announced, some three decades after Matthew’s publication. Perhaps I should clarify my use of that word “discoverer”. Matthew is one of those unfortunate losers of history, condemned to be viewed generally (like Wallace, actually) as a trifler who noticed something but failed to realise its significance. In fact Matthew was a distinguished worker in his own field, agriculture, but his not being a naturalist was one reason why, although he certainly did not pursue his discovery as much as he might have, it remained obscurely in an appendix to a work on the supply of naval timber. There is more beauty and unity of design in this continual balancing of life to circumstance, and greater conformity to those dispositions of nature which are manifest to us, than in total destruction and new creation … [The] progeny of the same parents, under great differences of circumstance, might, in several generations, even become distinct species, incapable of co-reproduction. Note that he sees the process as so self-evident that he calls it a law rather than a theory, to which thought I’ll return later. I have been much interested by Mr. Patrick Matthew’s communication in the Number of your Paper, dated April 7th. I freely acknowledge that Mr. Matthew has anticipated by many years the explanation which I have offered of the origin of species, under the name of natural selection. I think that no one will feel surprised that neither I, nor apparently any other naturalist, had heard of Mr. Matthew’s views, considering how briefly they are given, and that they appeared in the appendix to a work on Naval Timber and Arboriculture. I can do no more than offer my apologies to Mr. Matthew for my entire ignorance of his publication. If another edition of my work is called for, I will insert a notice to the foregoing effect. There have been claims over the years, and last year in a book, that Darwin and Wallace learned of Patrick’s work through naturalist friends who had read it, and conspired to plagiarise it. But the reply above seems to me in keeping with a generosity of spirit and modesty that recurs in Darwin’s writing. In any case, the writer of the new article, Weale, is not concerned to play the rivalry game. The current lionisation of Darwin, he says, which mythologises the whole history of evolutionary theory under his name and sidelines even Wallace, who was equally celebrated in the nineteenth century, is not a matter of personal rivalries at the time, but a modern phenomenon. Weale’s intention is to show what we might learn from Matthew’s approach, somewhat different to both Darwin’s and Wallace’s, now. 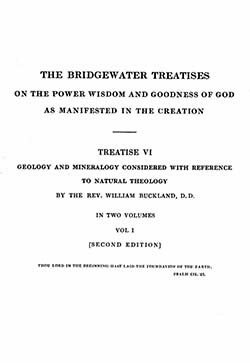 Since the article is free, I’ll let you follow his reasoning there, because my intention is to show the relevance of Matthew to theistic evolution, and add some thoughts about the significance of the fact that natural selection had no less than three independent discoverers within three decades, or more if we count those like Blyth who simultaneously saw it, but not as an agent of transformation. I challenge anything of Bridgwater prize origin, or of any other higher origin, as showing grandeur of design – means to end – display of infinite wisdom equal, or to be compared to the great self-modifying-adaptive scheme of Nature which I many years ago pointed out in Naval Timber and Arboriculture, and which Mr. Darwin has in his recent work so ably brought forward. There cannot be a doubt that in the scheme of nature there exists high design & constructive power carried out by general Laws, And the great probability is that these laws are everlasting, as Nature itself is, tho’ under these laws subject to revolution. It is also probable that the spark of life, like light, & heat &c., is radiated from the sun & has a power of building up to itself a domicile suited to existing circumstances & disseminating sparks of its own kind, but possessed of a variation power. That there is a principle of beneficence operating here the dual parentage and family affection pervading all the higher animal kindom affords proof. A sentiment of beauty pervading Nature, with only some few exceptions affords evidence of intellect & benevolence in the scheme of Nature. This principle of beauty is clearly from design & cannot be accounted for by natural selection. Could any fitness of things contrive a rose, a lily, or the perfume of the violet. There is no doubt man is left purposely in ignorance of a future existence. Their pretended revelations are wretched nonsense. Matthew’s last sentence here suggests he was not an orthodox Christian (though the atheist biographer whose recent book accuses Darwin and Wallace of fraud believes he was – perhaps the “pretended revelations” are more a dig at Wallace’s spiritualism than at the Bible). But he regards the general beneficence and the beauty of nature to be proof of a higher design than natural selection. The significance of this is that it makes Darwin’s agnosticism-tending-to-atheism, now regarded as normative (making intellectually-fulfilled atheism possible, etc), the minority view amongst the theory’s co-discoverers. But as we’ve seen he understood these laws themselves as so designed that God’s wisdom is manifest. He is, if you like, in the tradition of “frontloading” exemplified by those like Michael Denton now. 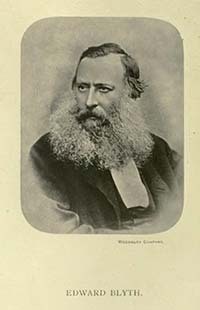 Wallace, in contrast, saw natural selection itself as being subject to divine intervention through spiritual intermediaries. It’s not clear to me how well his metaphysical understanding of this was developed, but the result was that, like Matthew, he saw evolution as aiming not only at mankind, but at a world beneficial to mankind (for example, in the properties of the different kinds of wood). To these, in passing, we might add the thoroughly orthodox ideas of divine teleological oversight of evolution by Darwin associates like Asa Gray and Charles Kingsley. Darwin played his theological cards rather close to his chest, and that no doubt reflects his own doubts, but also the less attractive characteristic of playing up the religious possibilities of his theory so as to evade the opposition of believers. But overall, he alone of the theory’s originators seems to have nodded towards the Greek atomist idea that even in a purely chance-driven universe, his natural selection would inevitably bring the order we see, from chaos. The existence of Matthew and Wallace in the mix shows that natural selection by no means entails this conclusion – and indeed, it may be somewhat naive in philosophical, let alone theological, terms: natural selection needs a designed underlying order to work. He [Darwin] seems to have worked it out by inductive reason, slowly and with due caution to have made his way synthetically from fact to fact onwards; while with me it was by a general glance at the scheme of Nature that I estimated this select production of species as an à priori recognisable fact—an axiom requiring only to be pointed out to be admitted by unprejudiced minds of sufficient grasp. Matthew proves that macroevolution by natural selection was, at least in principle, an idea open to anyone who could join the dots. Natural selection is uniquely amenable to being deduced in this way. Ruse (1979) has called this the ‘deductive core’ of natural selection. Darwin slowly unfolds it in chapters 2–4 of On the origin of species, Wallace (1870: 302) neatly tabulates it, but Matthew encapsulates it by describing it as a ‘law’ (Darwin and Wallace preferred ‘theory’). The axioms required for natural selection to be true are themselves observable properties of living things: they reproduce, they vary and pass on traits, they compete for limited resources, and some of their traits influence their ability to do so… Natural selection is therefore a certainty, whereas special relativity is not. It is truly an inescapable law and this is a valuable starting point for teaching the concept today. One can question whether natural selection is powerful enough to drive all adaptive evolution (and in different ways, all three originators did just that) but one cannot question natural selection itself. That self-evidence of the reasoning: “variation + limited resources -> natural selection -> evolution” has been the main support for Darwinian theory since its arrival, whatever the state of the the evidence at any particular time. It truly is a production of the Department of the Bleedin’ Obvious – and, as Weale points out, uniquely so in modern science. That fact alone ought to raise questions, because it is very close to the pre-modern basis of science in arguing from rational necessity, unencumbered by the messiness of actuality. Once, it was self-evident that in the celestial sphere, forms were perfect and nothing changes. Before the Big Bang Theory, the eternal existence of the cosmos was axiomatic. But as Weale points out, the sufficiency of this undeniable certainty of natural selection to account for all evolutionary change was denied, or doubted, by Darwin, Wallace and Matthew. It is a slam dunk answer to everything only if no other factors are operating, such as limitations imposed by the laws of physics or chemistry, of genetics, and so on. Sufficient variation, in particular, cannot be taken as given – that is not self-evident. And neither is it obvious that natural selection has infinite capacity – it’s just rather easier to imagine that it does than to pin down the specifics. As Blyth saw, even the outcome of natural selection can be stability rather than change, depending on the specifics of the case. As Weale says, “One can question whether natural selection is powerful enough to drive all adaptive evolution”, and it’s a big question, because potentially it can transform our understanding of the world. As discoverers of a new principle it’s a question Darwin, Wallace and Matthew can be forgiven for downplaying – though in fact, modern biologists play it down far more, even in the presence of greater evidence against it. Nevertheless, the story of Matthew shows us, like that of Wallace, that the acceptance of natural selection leaves room for a great deal of divergence in evolutionary theory, and that includes the role of God as its designer and the governor of its outcomes. This entry was posted in Creation, History, Science, Theology. Bookmark the permalink. Thanks for this valuable history lesson, Jon. I had never heard the name of Patrick Matthew before reading your blog here referencing Weale’s work on the subject. But I’m not surprised to hear such things, as the longer I’ve been interested in science education and history, the more I see how blurry it commonly is to map out precisely where or with whom some innovative line of thought started. 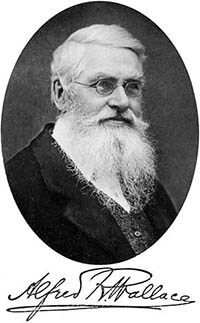 I also wonder if evolution might have gained a different reception had some key figures (namely Thomas Huxley) had been absent from history, and other figures like Asa Gray had become more prominently attached to evolutionary theory in the public mind. You certainly show that its origins ideas, at least, were generally not among the anti-theistic. A hat-tip to BBC Radio 4 News, which did a 2 minute interview with Weale. Otherwise, I’d know nothing about Patrick either, except perhaps as the name of someone who had said something not completely wrong by accident. Your point about the “sociology” of early Darwinism is well-made. 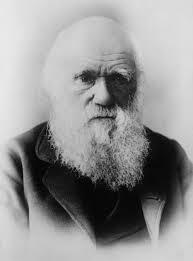 But the reading I’ve done since starting The Hump suggests that much of the “tidying” of history came after the first eclipse of Darwinism and the emergence of the New Synthesis, when Darwin was rebranded as the Sole Prophet we think of today. So maybe we ought to look at the twentieth century champions of that myth as much as at people like Huxley to understand it.